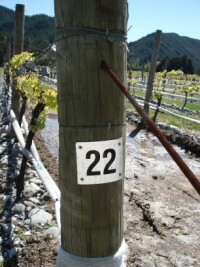 The cost of the basic UV stable black polypropylene markers (130mm X 110mm X 0.8mm) with white reflective 70mm numbers are the same price as the cattle ear tags. They can be easily attached with two- four flat head galvinised nails or a heavy duty stapler. 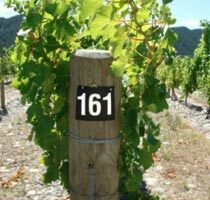 The grape variety and clone can be added but it is an extra cost above the basic plate number. 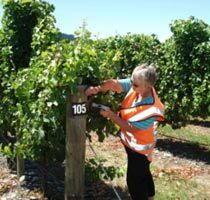 Most owners keeps digital records of the grape variety /clones. Block names on one plate can also be supplied. 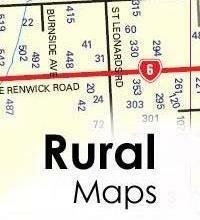 Please contact Alan 64 354 76552 Mobile 64 27 6183050 or email ruralnum@snap.net.nz for information on row markers.